Accura vue is a yellow series Hydrophilic foldable IOL with violet blue light filter - Negative spherical aberration with 360° step square edge PCO barrier Optics. Accura vue is yellow series acrylic foldable IOL’s made up of FDA approved highly bio-compatible ultra pure monomer with UV-A blocking and violet blue light filtering material which contains the same UV-A blocking and violet Blue light filtering chromophore that is in human crystalline lens. With a focus on the ever-evolving demands of our customers, we have come up with a wide range of uniquely designed Accura vue Hydrophilic IOL YA 6025. Our talented professionals design this lens with ultra view aberration neutral optics with 360° deg advanced square edge and hydrophobic surface treated for superior optical performance and defense against PCO. Apart from this, our clients can avail this lens at budget friendly prices. With a focus on the ever-evolving demands of our customers, we have come up with a wide range of uniquely designed Accura vue Hydrophilic IOL YA 6030. Our talented professionals design this lens with ultra view aberration neutral optics with 360° deg advanced square edge and hydrophobic surface treated for superior optical performance and defense against PCO. Apart from this, our clients can avail this lens at budget friendly prices. Our competency lies in offering our clients an excellent quality range of Accura Vue Hydrophobic YA 6010. 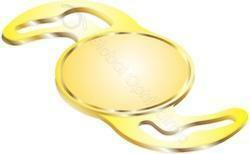 Hydrophobic surface optics helps delayed PCO and well polished haptic for ease of unfolding. 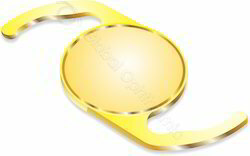 Our offered lens is perfectly designed with the use of high quality material and latest technology under the supervision of deft professionals who hold vast experience in the domain. 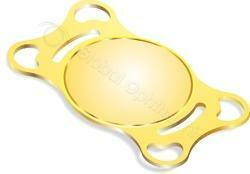 This lens is highly acknowledged in the market for its clear visibility and excellent finish. Looking for Accura vue ?